Some Dungeons Have Odd Angles! Some dungeons are vaster that others! Next time your players are ready to delve into the deeper levels of labyrinthine dungeon vaults, they won’t have to wait for you to draw every twisting wall and hallway. 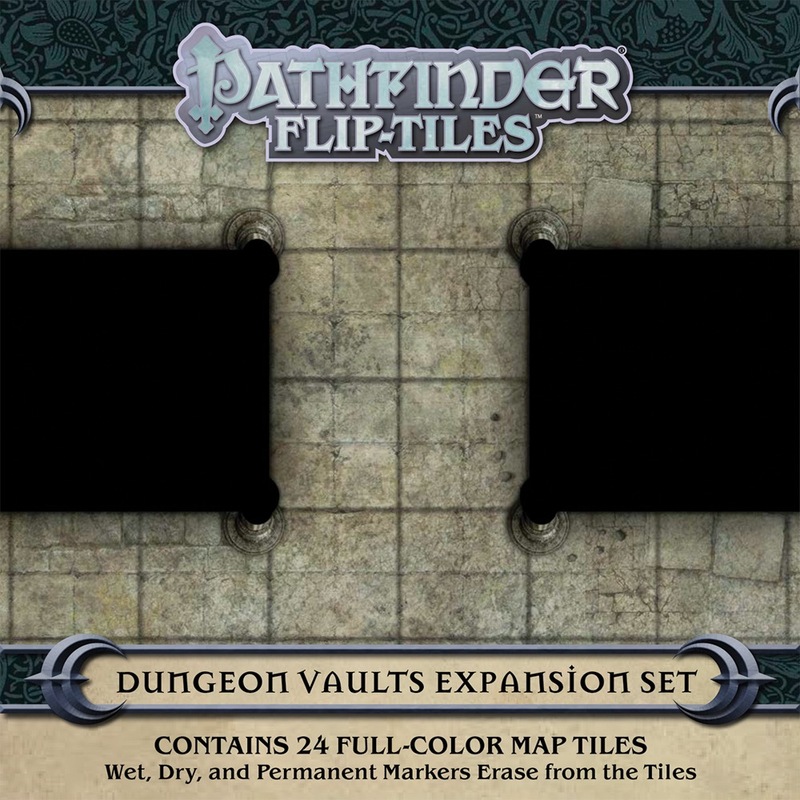 Pathfinder Flip-Tiles: Dungeon Vaults Expansion Set provides beautifully illustrated 6" × 6" map tiles that can be used to stock your dungeon with a variety of twists, turns, and oddly shaped rooms. Inside, you'll find 24 richly crafted, double-sided map tiles. 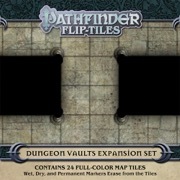 This expansion set, along with Pathfinder Flip-Tiles: Dungeon Starter Set, allows you to create massive dungeons with endless variety! So stop your sketching and start your flipping today! 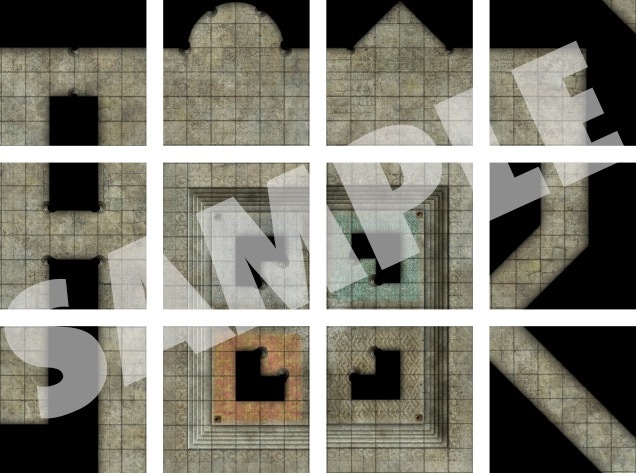 Note: This product is part of the Pathfinder Maps Subscription. Nice to see that larger Dungeon rooms and chambers will be covered. the boxes of the starter sets have space for (only) two expansion sets. Incentive to buy more starter sets to house your expansions? Anyway, this looks cool. Will certainly pick up. Thx 4 the update & sample art! I think this has been accidentally placed in the wrong spot on the website: it's in the "GM Screens" section.